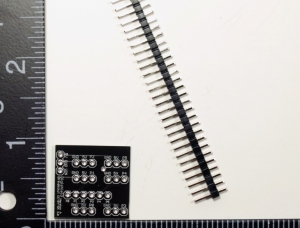 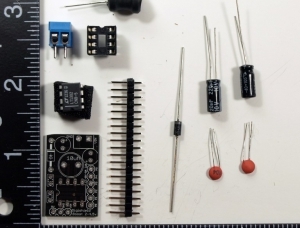 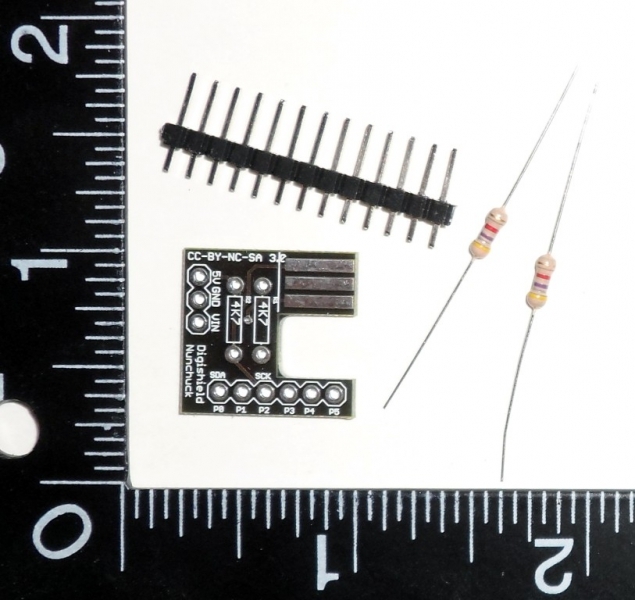 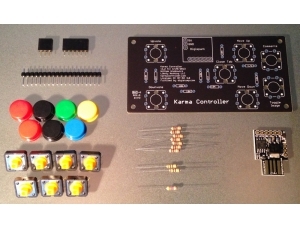 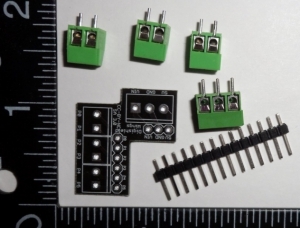 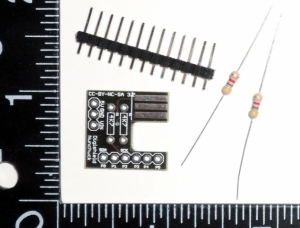 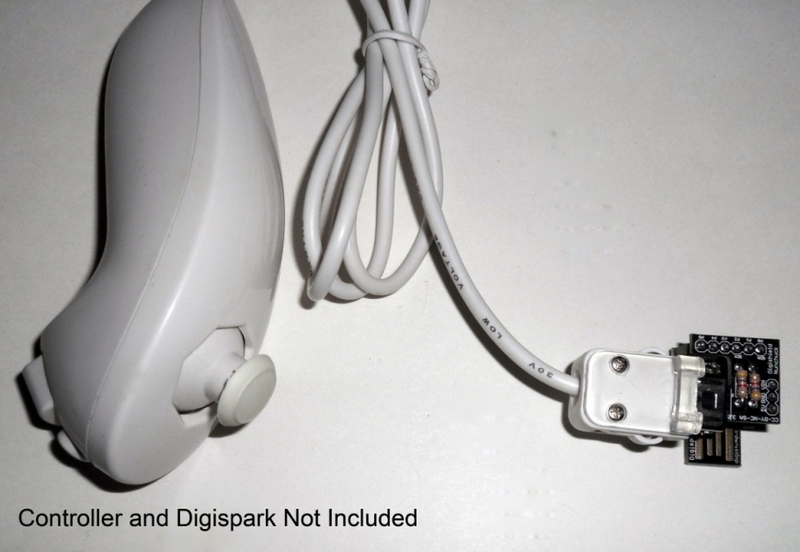 The Nunchuck Shield Kit allows you to build a Digispark shield which connects a Nintendo Wii Nunchuck controller to the Digispark development board. 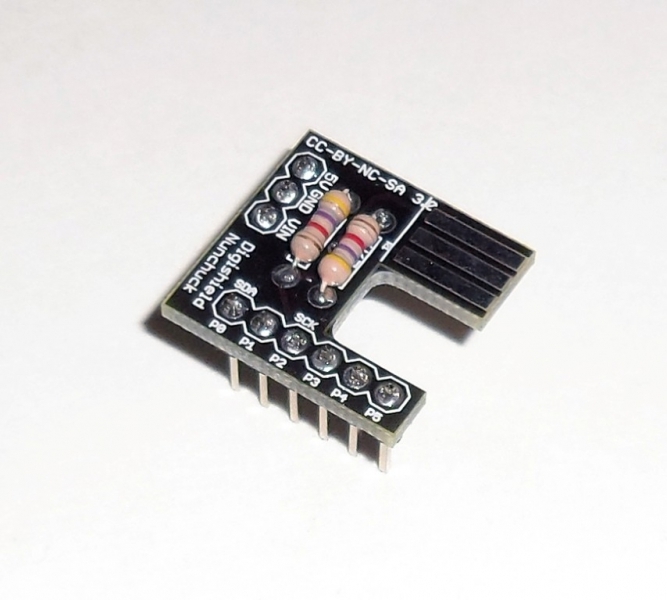 It communicates with the Digispark over the I2C bus and allows you to read the accelerometer, analog stick, and button states with the Digispark. 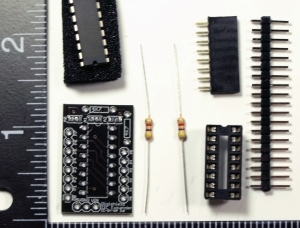 The provided examples show how to use this information in your project, output it over USB to the computer, or use the Digispark to make the Nunchuck into a USB Joystick. 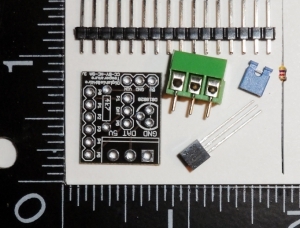 The Nunchuck is designed for 3.3V this runs it at 5V, it appears to handle this without issue, many others have confirmed this as well - nonetheless, use at your own risk.